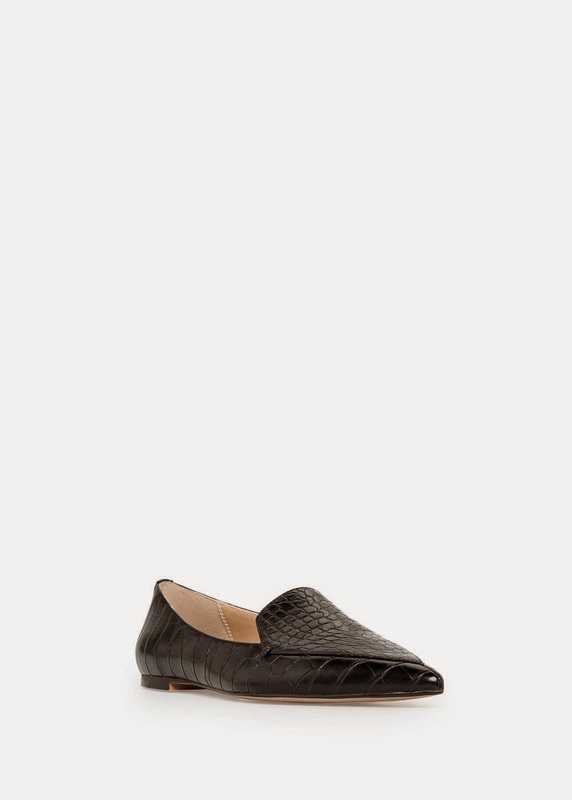 This year the pointy loafer/brogue is most definitely my shoe of choice. Slightly masculine, but worn with the right outfit can look so chic. 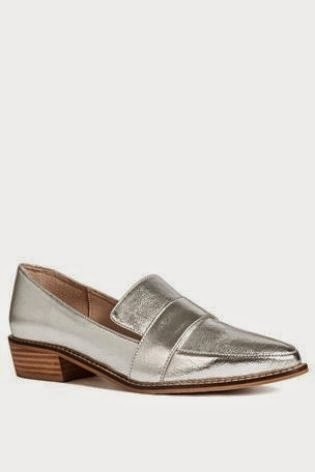 With the platforms of SS15 (see Stella McCartney below) becoming the norm next year, these pointy loafers seem positively tame and understated in comparison. Here are some ideas of how to style the pointy loafer.. This style of shoes looks gorgeous with cigarette trousers. The most flattering way to wear these is to keep the bottom half of your outfit slimline. They look great with ankle length skinny jeans, leather leggings or shorter skirts. It is best to bare your ankle if you can as it gives them a more feminine look. In the winter wear with 60s dresses and thick, black opaque tights. These look fabulous on, I saw them being worn by Luisa from AStylishSomething on instagram (@astylishsomething) and they looked great and have the added bonus of being super comfy! 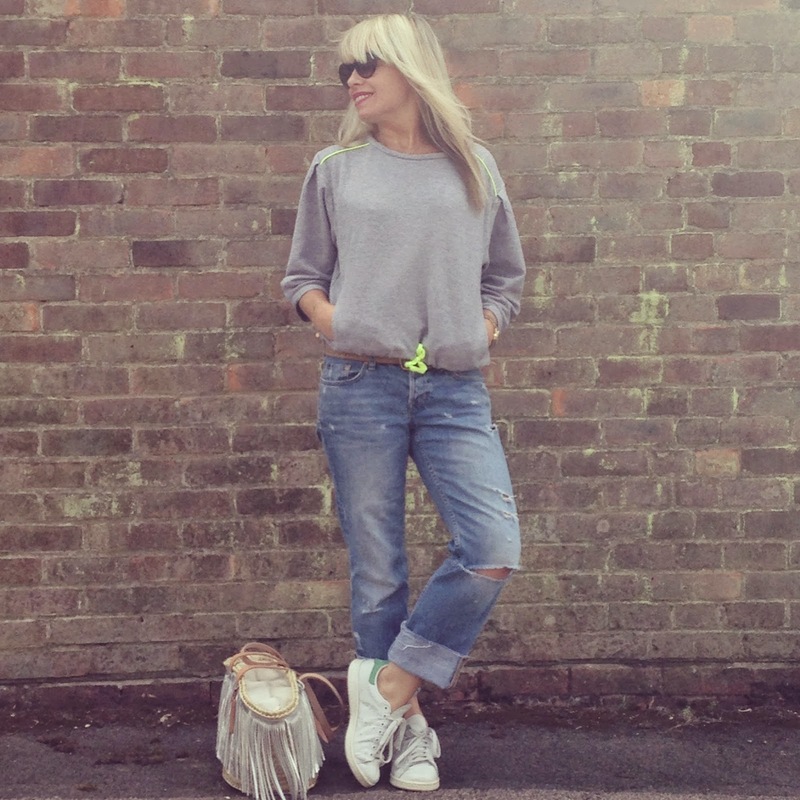 Again, these were worn by blogger Adrienne from Thatsmymum on instagram. 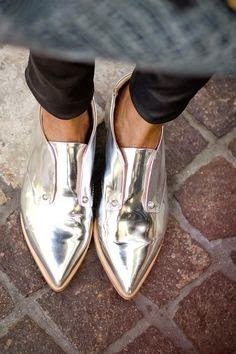 They looked great and are such a great price, they are not leather but if you fancy 'dipping your toe' in the trend these are a good buy! 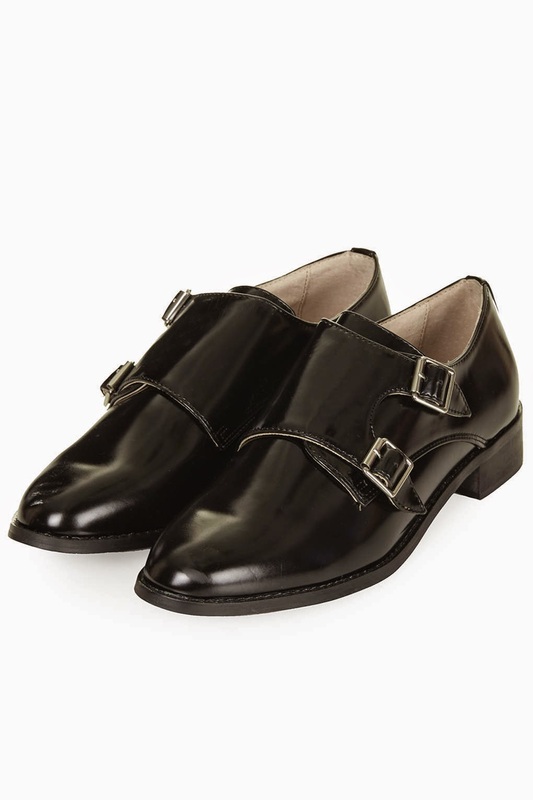 The closest I have seen to the beautiful Celine loafers that are wayyy out of my price range. 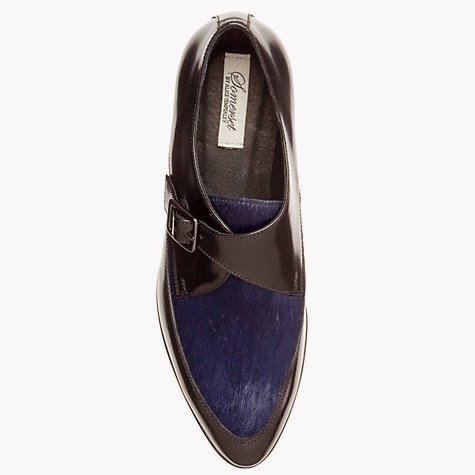 These are chic and elegant and would look stunning with black skinny ankle length trousers and a black blouse. 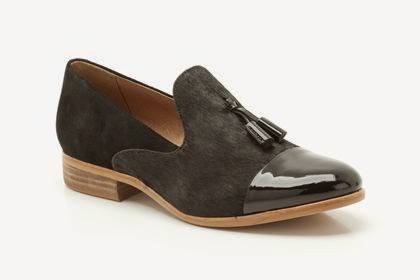 Wear these with a cream shirt and skinny paler blue ankle length jeans for a chic Autumn look.. 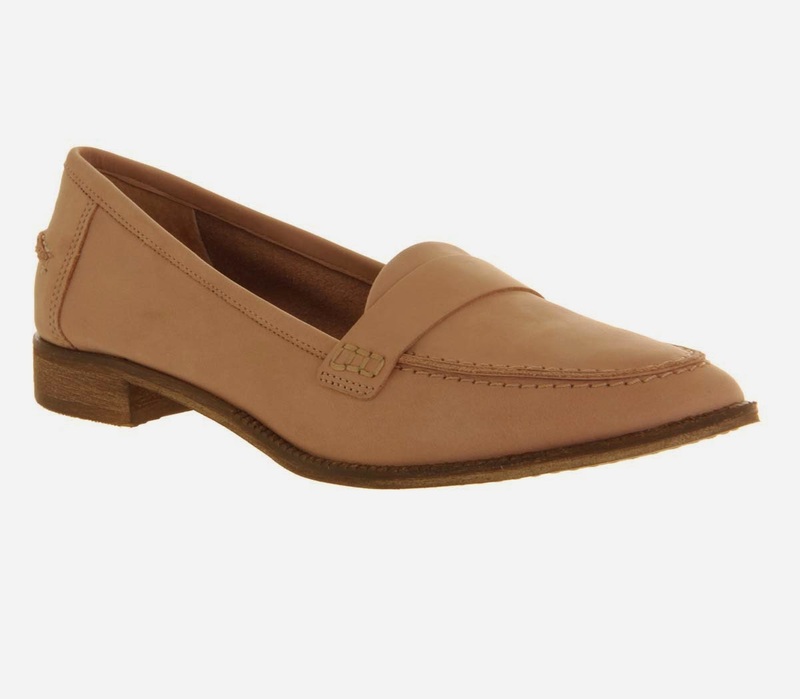 These would look fab with a double denim look - a denim shirt and skinny blue jeans. These shoes are monochrome perfection, would look stunning with an all black outfit. I am loving this style of shoe, so practical for us mums and flattering at the same time. Back to the school run this week, so the trainers have been worn non-stop..this is why I need a pair of pointed loafers! So are you convinced by the pointy flats, do you think they will make a practical and stylish addition to your Autumn wardrobe? I like them but need to get over always feeling like my feet look big in this style of shoe. Baring ankle is a really good tip! Yes the Temperley ones win hands down for me out of this selection and like you say the navy and black make it so on trend and yet very wearable. Will look forward to seeing a pic of them! My faves are the Next ones, I have been looking at them for a while and may have to get them! I love them on others ... but can't decide about wearing them myself. I'm tempted to give them a go this year but I have a question (don't laugh) ... don't your ankles get cold?? Oh wow - these are amazing - I love literally every single pair you've picked out! spot on... they really do look great with skinny jeans and they are so versatile i agree. perfect for us grown ups :)! Love your choices. I like the silver ones !